Advent's deep industry and software expertise have helped us create a pre-configured solution, on the industry's broadest and most flexible platforms such as the SAP Business One , SAP Business ByDesign , SAP Business-All-in-One , SAP Best practices for industries , SAP Rapid Deployment Solutions and SAP S/4 HANA. SAP S/4HANA is the next generation business suite designed to help you run simple in the digital economy. This new suite is built on advanced in-memory platform, SAP HANA, and offers a personalized user experience with SAP Fiori. SAP S/4HANA delivers massive simplifications (customer adoption, data model, user experience, decision making, business processes and models) and innovations (internet of Things, Big Data, business networks and mobile-first) to drive instant value across lines of business and industries. Deployable in the cloud, on-premise or hybrid, SAP S/4HANA offers real choice for a reduced total cost of ownership and full flexibility in executing your business and IT strategies. Advent Global can provide custom SAP Best Practices Industry packages handle the most important business requirements for different industries. The custom solution are targeted at specific industry requirements and are available for a number of industries, e.g. Chemicals, Retail, Healthcare, High Tech. 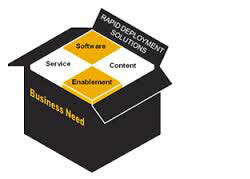 With SAP Rapid Deployment Solutions (RDS) we provide cfaster deployment, predictable outcomes, and lower cost for on-premise, cloud, or hybrid scenarios. It includes pre-configured software, best practices, and services that deliver 20-80% savings in implementation time and cost as compared to a traditional deployment approach. Advent Global can provide SAP Business All-in-One solutions which best fit the needs of midsize companies looking for comprehensive, industry-specific ERP software to help grow their businesses. The solutions are integrated, affordable, and designed to fit your needs – both now and in the future. You can add CRM, SRM, BI, and other functionality at any time to scale a solution as your needs change. Advent Global can provide a SAP system to run your entire business on a single, cloud-based software solution, ideally suited for upper mid-size businesses and subsidiaries of large corporations. SAP Business ByDesign is a complete, integrated suite that can run your whole enterprise – financials, human resources, sales, procurement, customer service, and supply chain. Advent global can provide a complete and customizable SAP Business One solution is a single, integrated solution that provides clear visibility into your entire business and complete control over every aspect of your operations. It captures all critical business information for immediate access and use company-wide. Unlike accounting packages and spreadsheets, it delivers what you need to manage your key business areas.